Learning to see colors as values is not easy. In fact, I believe it is a trained skill. It is also something many of us, myself included, resist doing because it takes time and concentration. However, the use of values is one of the most important elements in creating effective paintings. Some artists will state, and you have probably heard this, that values are more important than color. Oh, but we LOVE color! Yet, if you don’t know your values, then your colors will not carry the visual message you want to communicate. Value is defined as: the lightness or darkness of colors. 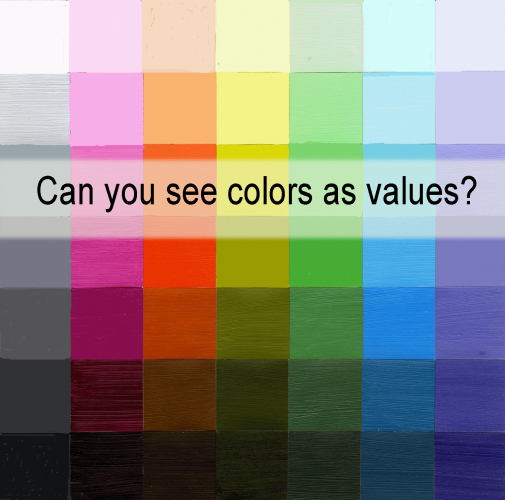 Why is Seeing Colors as Values Difficult? 1. Our visual dictionaries get in the way. What I mean by this, is that we all carry a predisposed ideas of colors and values in our brains. If we don’t stop and really LOOK at a color and its value, we may not see it accurately. 2. There are several hues/values/intensities within a small area, which makes it difficult to determine the value of a color. 3. In my humble opinion, I have not experienced or read very many good resources on this topic. Like the topic of color, the teaching becomes confusing very quickly. If you know of a good resource, please share it. We all know that values range from white to black, with gradual steps in between. These scales can run from 0-10, 0-9, 0-5, etc. There is no right or wrong number of steps in a value scale. And to add a little confusion into the mix, some say the “0” is white and others say “0” is black. 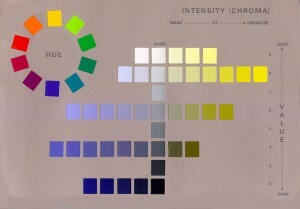 I like to follow the color theory founder Albert Munsell, who gave us the Munsell Color System of hue, value and chroma. His value scale usually ranges from 0-10 with “0” representing white. In this graphic of the Munsell Color System, it ranges from 0-8. Personally, I prefer to use an odd number of steps because I like knowing the exact middle gray value. 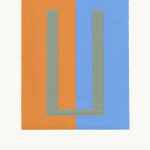 Mix a middle gray value – see Value 5 above – and paint seven swatches of this value as you see here. They are about 1/2″ x 1″, but can be larger as per your preference. 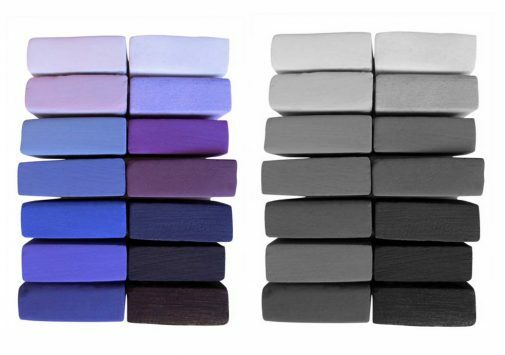 Next, with your colors of red, orange, yellow, green, blue, purple and a cerulean blue, match each color with this middle gray value. The results may look something like this. 2. Now do the reverse. Paint a swatch of each of your colors right out of the tube. Next, mix a value that matches each tube color. It isn’t easy to do and feels a tad tedious, but do you understand how you are training your eye? The two most difficult hues are usually yellow and orange. Why? Because neither of them carries a dark value. What are some “seeing colors as values” exercises that you have done? I would love to learn about them. Please share in the comment box below. Seeing colors as values is tricky. A very helpful tip is too use your camera and change the color photo to a black and white photo. I do this often when evaluating my paintings. 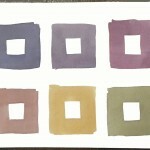 Here is an example of seeing the values of the color purple…these are pastels. Interesting, eh? I strongly encourage you to try out these exercises or something similar. For example, complete a color chart of values similar to one in the first photo above. 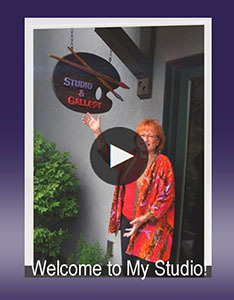 If you found this article helpful, please share it with other interested artists. What Key Color Principle is Often Neglected? 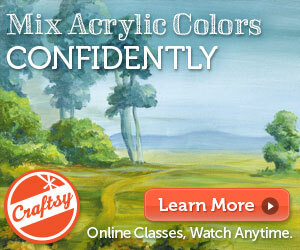 Why is Mixing Gray so Important for Painters? 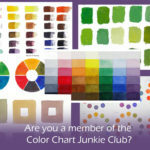 Are You a Color Chart Junkie? 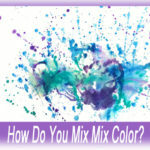 What Are the Three Ways to Mix Color? An exercise from an author I can’t now remember: clip swatches of uniform color from magazine photos (or create them yourself). Place in order of value. Check your work by making a (black & white) photocopy. 2nd: my own exercise—create an under painting from a limited palette chosen beforehand. 5 tones, loosely related to hue, but chosen for value. (5 in addition to black and white). Do not go back for ANY adjustments to color at all—stick to your limited palette. I find this very hard and haven’t done it very often, but I’ve always loved the results. Oh, I have forgotten about photo copies. Thanks for the reminder. I wonder if these are more accurate than changing a color photo to a black and white. Like your own exercise and appreciate you sharing it. It is difficult to not go back and adjust! I bought a gray scale at an art store and then made one in a drawing program on my computer that matched it when printed on my printer. When I photocopied it, I lost the differentiation in the darks, it was much better off my inkjet printer..
Good to know. Thanks Kerry.